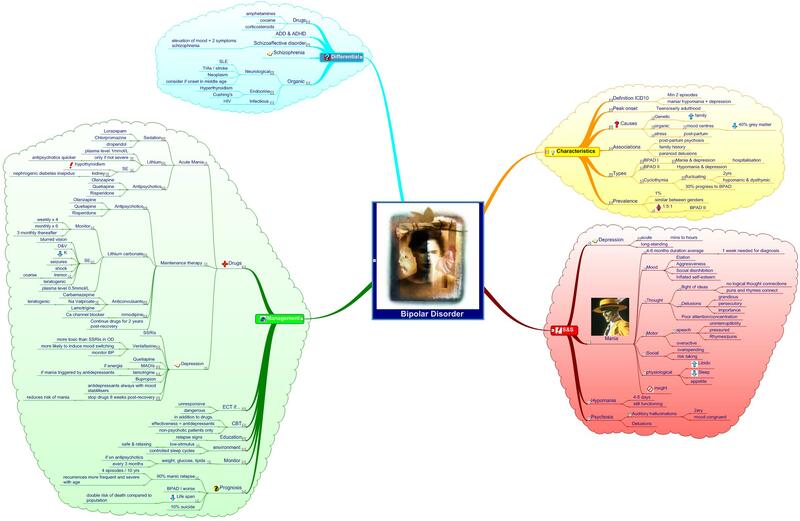 Mind map Bipolar Disorder (from MedMaps.co.uk) - the online mind map resource for medical students and doctors. Psychiatry. Medicine.